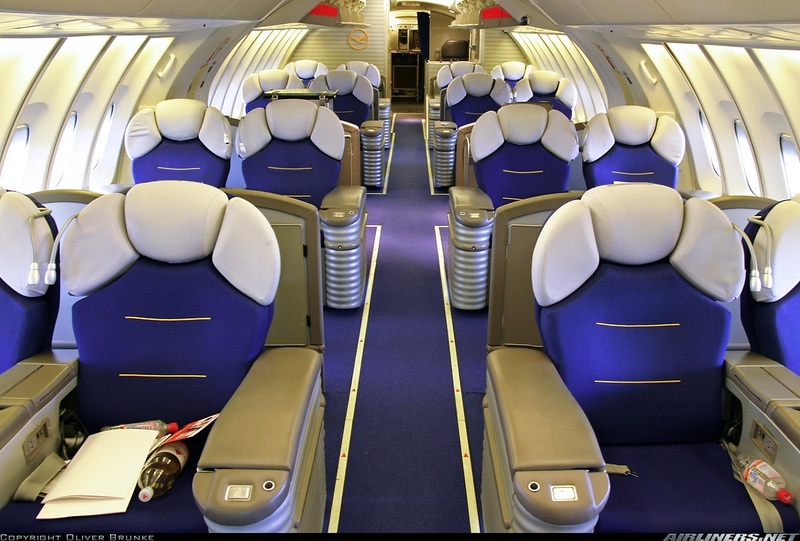 If you are a passenger who likes to travel in comfort and style then flying business or first class is the right option. Of the two classes of travel which one is the better one is a choice which is entirely yours. The differences between the two are surely there else why would they be termed differently. However, slowly the defining features are merging and there is an attempt by some airlines to unite these two classes into one and call it Business First or Upper Class or just plain Business Class. In the short haul routes in the US on the domestic front first class or business class travel is a bit of a disappointment. Nothing special food wise and the seating generally is 2-by-2 configuration with not so much of leg space as there should be ( US Airways for example) and you seated on a window seat you still have to step over your neighbor. Airlines like United have however have on their domestic flights refurbished their business class cabins on some of their aircrafts. On long haul and international routes the services being provided by the airlines in their first and business class is getting more competitive. The main differences between the two are bigger seats, better food and wine, more personalized attention, lie- flat seats, better airport lounges and finally better privacy. Oh, lest you forget, expect to pay up to four times the normal economy fare for business and eleven times for first class!! Discounts are generally not available on the direct flights for first or business class. If you take a flight via a third point to your destination then the fare could go down somewhat. Whereas, if you decide to a longer duration connection like a 10-12 hour layover at the intermediate point, then the fare could lower considerably. The cheapest would be the companion free offers by the airlines wherein both the companion and you have to travel together. Lufthansa’s managing director Don Buckenburg says that “the first class value differential over business class is space, privacy, a larger, longer and wider seat and additional crew per passenger in first class. In addition, according to him, flight attendants are specially trained to serve first class, knowing how to “read” the passenger differently and knowing the wine and menus with precision. Airlines like Singapore and Emirates have very private “suites” in first class and onboard showers. Private becomes more private when with a touch of a button a retractable wall can be erected between seats to separate passengers. Etihad actually provides you with a chef on board to cater to your (within reasonable limits) culinary whims. A superlative meal service comprising of high quality champagne, lobster tail and caviar are some of the indulgences extended to first class traveler. 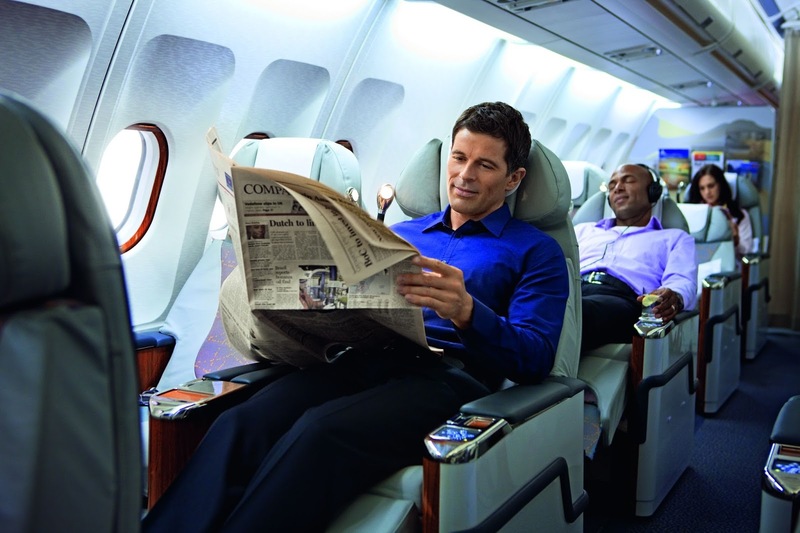 The business class is not far behind when it comes to the amenities and comforts. It’s almost as luxurious as the first. Food and drink is of a very high standard almost comparable with the first class and just a shade lower. The extent of variety is to a lesser extent as there is more of a fancier meal and drink choice in the first class. 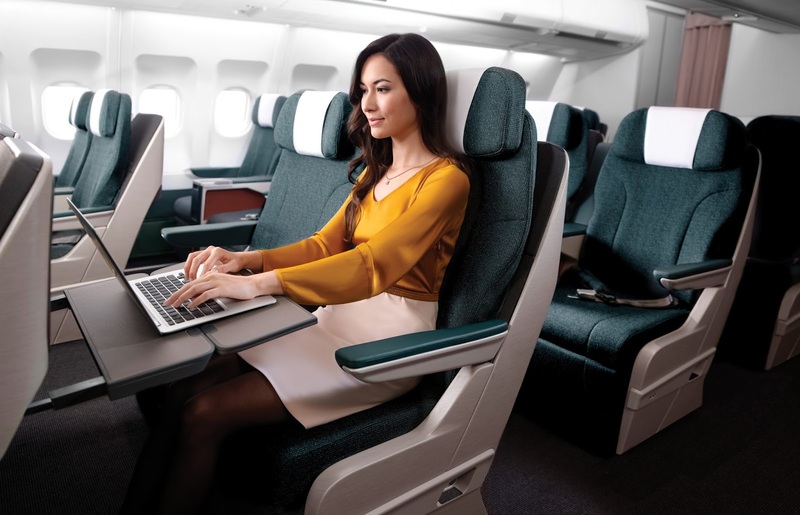 Nowadays, even the business class is being equipped with lie-flat seats, though the suite-like spaces for each passenger (as in the first class) are still not there. 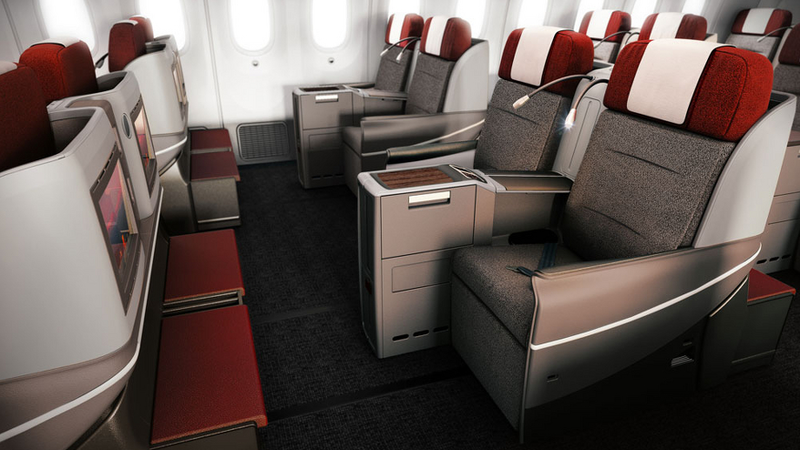 The business class cabin has enough space for you to move around and stretch easily thereby helping prevent DVT. The lounge access of business and first class passengers are more or less the same. Barring a few airports most lounges for the first and business class are the same and offer the same services. So ultimately you end up paying more for the same facility. 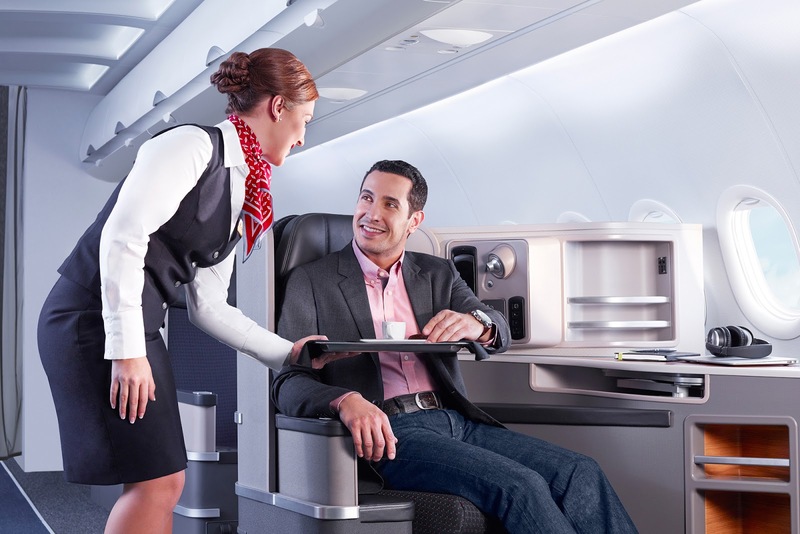 In actuality, the premium service for business and first are prioritized over economy, therefore there is no requirement to go all the way up to a first class ticket to get better service. 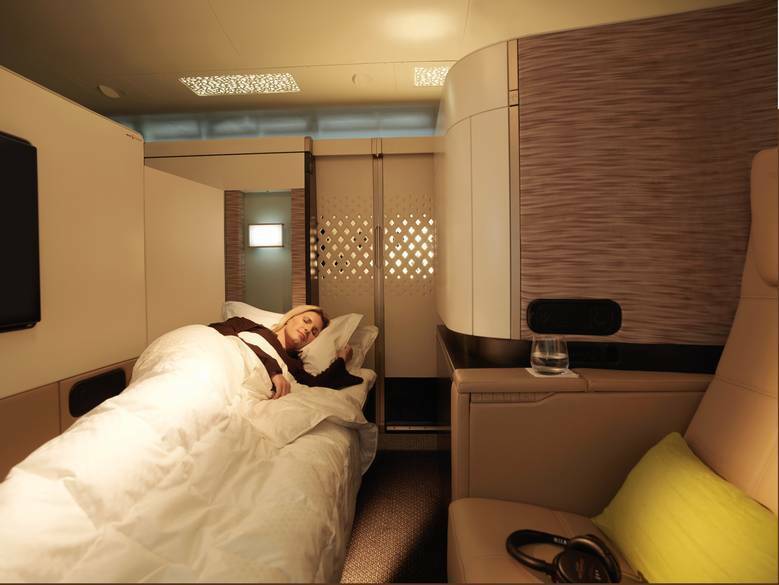 Most of the airlines are focusing their efforts on improving the perks of business class rather than the first. One of the reasons is that most companies have policies for those traveling for work on company expense. These companies will allow travel for work to expense business class flights over a certain number of hours but certainly would not want to spend for a first class ticket over long distances. One more factor to the advantage of business class travel is the accumulation of miles and points. One earns miles at different rates depending on the class of travel. Though some airlines have their own formulae there is a standardized industry rate that states that an economy ticket will earn flyers 100% of the miles actually flown, while business class earns miles at a rate of 125% and first class at 150%. As per computations, by paying twice as much for a first class ticket if you end up earning only 16% more in mileage bonuses then it’s certainly not worth purchasing one.